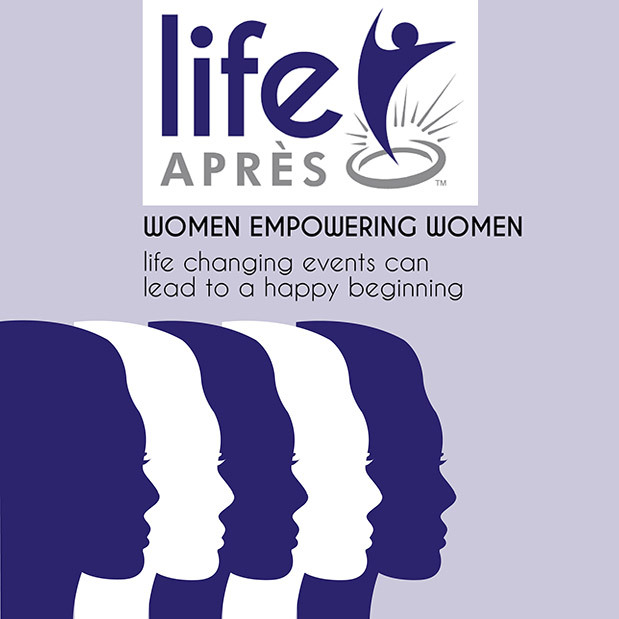 Life Après is a community of like-minded women, encompassing Après Divorce™, Après Widowhood™, Après Empty Nest™, Après Life Change™. Our mission is to encourage women to realize that they can survive life changing events and in fact come out of it better and more empowered. We connect women to a community that helps them improve what really matters…YOURSELF. While some life changing events are a sad ending, they can lead to a happy beginning – a time to close one door and open another and start writing your next chapter. Après Divorce provides advice on important matters that you may not ponder before you file. We walk you through some of the things you should do before and after you file for divorce. Network with other women going through loss and finding the empowerment to move forward. Becoming an Empty Nester offers ways to celebrate your children moving on. Whether taking over their closest or planning for celebration parties! Yes we said it, Parties! You did it, they’re off on their own, now celebrate! Sign up here and join the community. Stay up to date with our newsletters, resources, articles, videos and so much more! NEW! Resources you might need for Fairfield and Westchester Counties. How Can Life Après Help You? The Founder of Life Après, Sylvia Beckerman, wants to empower other women and assist them in realizing that they also can survive life changing events and persevere to live happy, full lives!